Army Foot Powder | BUDK.com - Knives & Swords At The Lowest Prices! 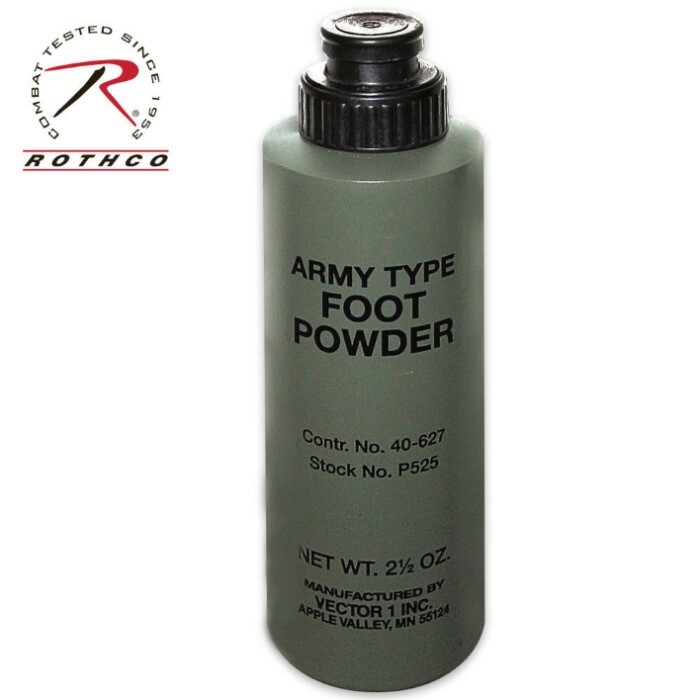 Keep your feet dry with this military grade Army Foot Powder. The original army formula soothes, dries, and protects feet with great results. Comes in a 2.5 oz. shaker bottle. Made in the USA.